The Government requires that each School has a management team, a Governing Body. 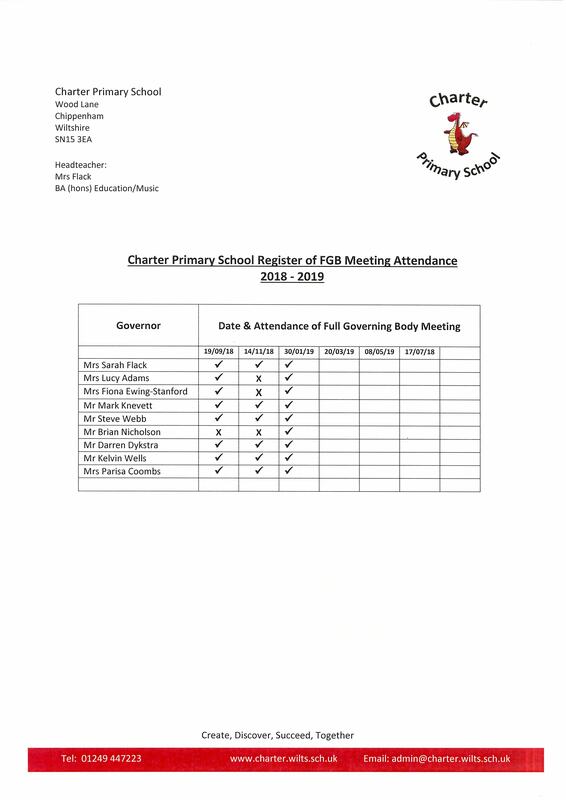 This body is made up of the various stakeholders that the School serves, parents, Local Authority, staff, local community. The Governing Body has overall responsibility for ensuring the school provides a high quality education for all its children, through working with the Headteacher, Staff and Parents to maintain high standards. We are accountable to the stakeholders mentioned above for the way in which we carry out our various responsibilities and functions. The Governing Body meets six times a year. Also, Governors undertake visits to the school. These might be part of the annual Governor Day when Governors visit classrooms and meet the children, or it might be more informal when they attend assemblies, concerts or sports events. 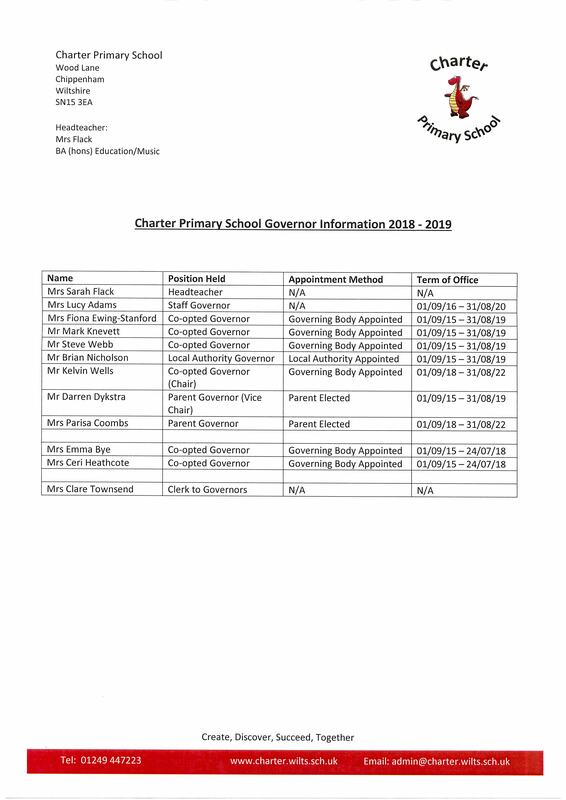 Governors have additional specific responsibilities eg. for Special Needs, Safeguarding and UNICEF Rights Respecting. Governors attend training courses to develop their knowledge in specific areas of Governance. Two Parent Governors elected from and by parents and carers of children attending the school. Five co-opted governors appointed by the Governing Body. If you are interested in joining us and contributing to the good of the School and the local community please get in touch with either the Chair of Governors – Mr K Wells, or the Headteacher. 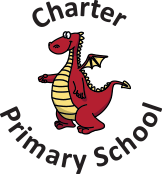 Our long-term aims/vision are that children at Charter school will: respect themselves, have a positive self-image and be active, caring members of their community. We want our children to make the most of each school day and to excel. In order to allow every child to learn effectively, good behaviour should be expected and promoted. Our values that guide the behaviour in our school are: mutual respect, personal responsibility and physical safety. School rules and expectations should all been made with these in mind.